ArrivalHub is an application that sources and curates local businesses to tailor journeys for new Australians. Refugees are having a difficult time settling. Makes the settlement process easy as they can work at their own pace through the itinerary and checklists. Website was built with html5 and the Android application was built with Java. Assumptions were invalidated and needed to change the scope of the project a few times. A functional application and website within 24 hrs. Connecting new Australians with local support services & businesses. 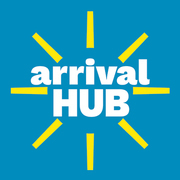 ArrivalHub is the solution.